Options have a reputation for being complex and high-risk, but don’t let the jargon scare you off. Options are great tools for traders and investors at nearly every skill level. The key to success is taking the time to understand the risks and find strategies that are best suited to your investment needs. 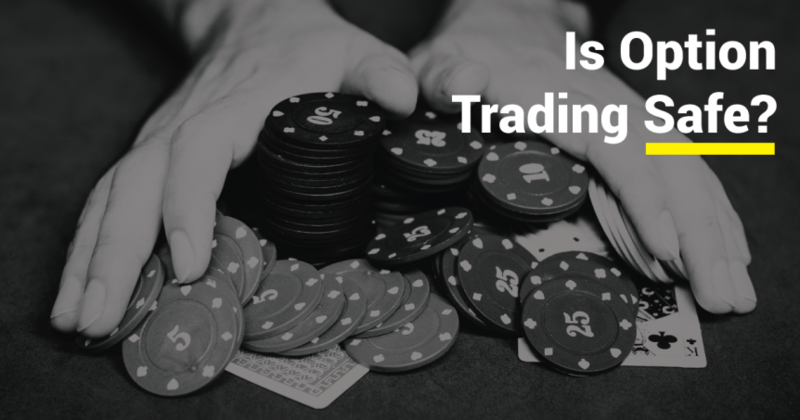 In this article, we will take a look at the four types of options trades, the risks associated with each of them, how strategy influences risk, and how to get started trading options. 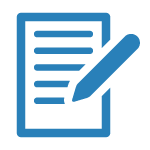 Options are contracts that give the buyer the right, but not obligation, to buy or sell a security at a pre-negotiated price and by a certain date. For example, let’s suppose that you want to purchase 10,000 shares of a company’s stock for $10 per share, but you’re worried about its upcoming earnings report. You could purchase the stock outright for $100,000 or you could purchase the option to buy 10,000 shares at $10 per share for $1,000. Suppose that the earnings are bad and the stock falls ten percent. If you purchased the stock, you would have lost $10,000 following the decline. If you purchased the options, you would have lost only the $1,000 premium. Suppose that the earnings are good and the stock rises 10 percent. If you purchased the stock, you should have made $10,000 following the increase. If you purchased the options, you would have made $9,000 after paying the $1,000 premium. This example is just one scenario where options can be a useful tool for limiting losses. You can also use options for purely speculative purposes (e.g. directional bets) or to generate a regular income from your portfolio. Buying a Call: You have the right, but not obligation, to purchase a security at a specified time and price. Selling a Call: You have the obligation to sell a security at a specified price if the option buyer desires. Buying a Put: You have the right, but not obligation, to sell a security at a specified time and price. Selling a Put: You have the obligation to buy a security at a specified price if the option buyer desires. There are no investments that are entirely risk-free, but some investments are safer than others. For example, bonds are generally safer than equities because they are first in line to receive a company’s assets if it goes into bankruptcy. Options are often considered riskier than stocks and bonds because they have no underlying asset. If you buy a stock, you own a piece of a company, and its value is unlikely to go to zero unless the company goes bankrupt. If you buy an option, you could lose your entire investment if the price of the stock drops above or below a certain point by a certain date. Buying a Call: You have unlimited upside potential, and the downside is limited to the premium that you paid for the option. After buying a call, you hope the price of the underlying stock increases dramatically. The payoff diagram below shows these dynamics. Buying a Put: You would obtain maximum profit if the underlying stock price dropped all the way to $0. The downside is limited to the premium you paid for the option. If you just own a put, you are hoping the stock price drops significantly before expiration. Stock owners can purchase a put on the shares they own. This protective put position (Own stock and own put) creates a floor at the strike price of the put stopping additional losses. Selling a Call: Your upside is limited to the option premium that you collected, and downside potential is unlimited. As the stock appreciates above the strike price, losses accumulate as the price increases. As a standalone trade, selling a call is very risky (called a naked call). However, selling a call in combination with holding the underlying stock is a way to boost income on the position and protect you some on the downside. The tradeoff is that you are required to sell your shares if the price exceeds the strike price at expiration. The covered call is a cornerstone trade in the Snider Investment Method. Selling a Put: Your upside is limited to the option premium that you collected, and the maximum loss is achieved if the stock price drops all the way to $0. The payoff diagram is very similar to a covered call and is another great way to generate income in an account. Most option traders don’t simply place a trade on one option. More often than not, their position includes an option as well as the underlying stock or a combination of multiple options. These position trades create defined profit and loss outcomes. It is also in this manner that investors can use options to reduce risk and boost income on a portfolio. How Are You Using Them? The risk of options trading also depends on your strategy. A trader buying out-of-the-money call options as a speculative tool is taking on much greater risk than an investor that’s selling call options against his or her own portfolio. Speculation: You can use options to place a bet that the underlying stock makes a significant move up or down. For example, you can buy an out-of-the-money call option ahead of an earnings announcement and potentially make a lot more profit than buying the same dollar value of common shares. We don’t recommend our clients use options for speculation due to the high risk nature of the trade. Leverage: With a much smaller amount of money at risk, you can have control of a greater amount of shares and have much greater profit or loss when the underlying stock’s price moves. Often used in conjunction with speculation, this is another option strategy we recommend our clients avoid. Hedging: You can use options to hedge your risks. For example, you can purchase put options on the same stock that you already own to limit your downside ahead of an upcoming earnings announcement or other event. This could actually improve your risk-adjusted returns by limiting risk. Income: You can sell options to generate a regular income, while limiting risk by holding the stock you already own. The most common option income strategy uses covered calls, where you sell call options against stock that you own. This is a low-risk strategy that can generate a virtual “dividend”. You can also control the amount of risk that you take within each of these strategies. For example, buying call options gets riskier the further out-of-the-money you go since there’s a lower likelihood of them paying off. Buying near-the-money calls is a much less risky form of speculation in some cases. It’s important to carefully consider the level of risk that you’re willing to take before trading options. When you open a brokerage account, your broker will assign one of several option approval levels (trade levels) based on your knowledge and requirements. These range from Level I covered call and protective put strategies to Level IV uncovered or naked puts and calls. Even as experienced option traders, we only recommend our clients use options to reduce risk and increase income in their account. In our opinion, using options for speculation and leverage is never a good idea. Snider Advisors specializes in teaching covered call strategies designed to help retirement investors generate an income from their portfolios. By selling a call option against an existing stock position, you can generate an income from the premium with the only drawback being reduced upside potential. This makes it a low-risk strategy that’s perfect for beginners and retirees. For more information, take our free introductory course or learn about our managed options. Learn what option income strategies are appropriate for your investment goals and objectives.